Everybody looks forward to summer, because with it, come TOMATOES! There seems to be as many varieties as there are opinions about these wonderful jewels. We have grown many varieties over the years, trying to find that “perfect tomato”. For the past 8 years or so, we’ve dwindled our hybrid varieties down to three or four bred by Dr. Randy Gardner, Professor of Horticulture Science at North Carolina State University. His varieties stand the test of time, so to speak. They are widely accepted for quality, taste, and plant vigor. “Mountain Spring” and “Mountain Fresh” are grown by 8-out-of-10 Amish farmers in Pennsylvania, especially in Lancaster County. 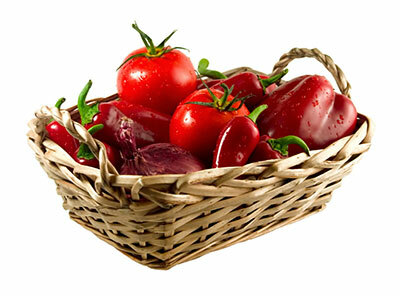 These are great-tasting tomatoes with a good shelf life. We grow Mountain Spring early in the season in our “high tunnel” and usually have them available in May. We introduced them in Chestertown (Maryland) in 2006 and everyone wanted to know what a “Mountain Tomato” was. They soon found out how great-tasting these tomatoes are and continued to come back for more. The “Early Mountain Spring” are easily identified by the dimple on the end of the tomato. As the season progresses, we have Mountain Fresh, which is a slightly larger tomato with that same great taste. “Carolina Gold” is another one we grow; Golden yellow color, nice size, with a little bit less acid. We grow “Heirloom Tomatoes” to give people a chance to taste what tomatoes used to taste like… Wonderful!! Identified by some as “Those Ugly Tomatoes With the Great Taste”, there are over 100! varieties of Heirloom Tomatoes. We have grown as many as 68 of them… It’s sometimes hard to remember all the names! Here, in Chestertown, we will be concentrating more on fruits, but will still be offerering a few of our favorite tomatoes including “Brandywine”, “Prudens Purple”, “Persimmon”, “Green Zebra”, “Cherokee Purple”, and “Old German”. This year we have the privilege of leasing another farm. Because of this, we will be able to grow more sweet corn, pumpkins and vegetables. Having the additional 27 acres allows us to rotate our strawberry fields while reducing disease pressure. The 10 acres that we had been leasing will not be available to us after this year. We’re fortunate to have the opportunity for the additional acreage. Another one of summer’s pleasures! We will be growing a few select varieties we consider to be, as they say, the “cream of the crop”. 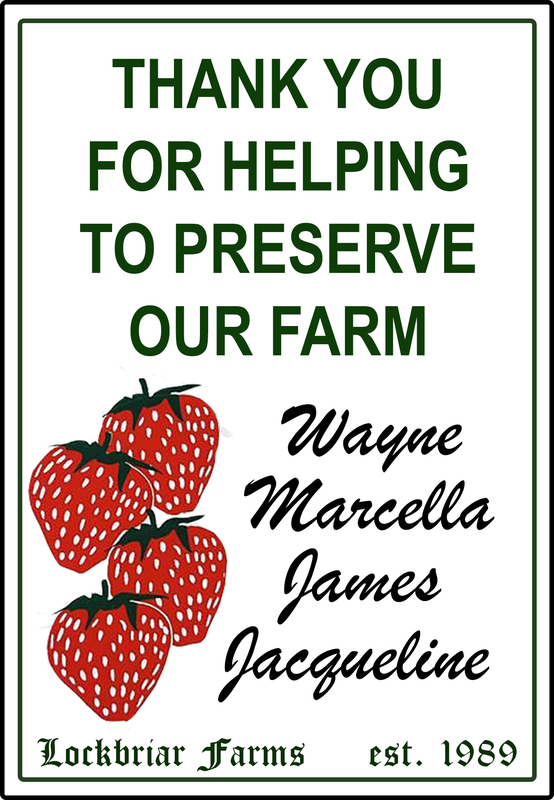 These will be grown on rotation plots where strawberries will grow in one-to-two years. 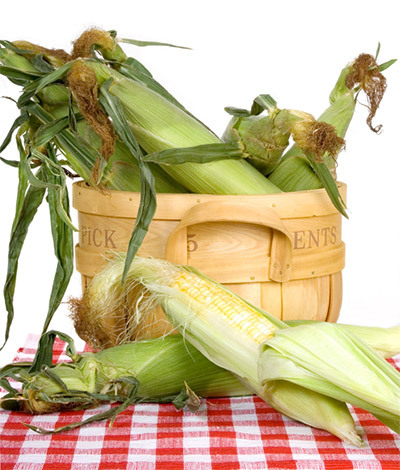 This year we are offering our own corn at all of our farmer’s market locations at the farm stand. We grow mostly Bi-color, as you know. We have planted 4 varieties of bi-color and 2 varieties of white. We will grow other vegetables as space and time permit. As I mentioned, we are moving more toward fruit every year. We will have PUMPKINS available in October, as this is a vegetable we “double crop” on plastic strawberry beds after early strawberries are finished. This season we will be offering an early selection of fresh, healthy vegetables using up every inch of our greenhouse space. When you’re out to pick strawberries, please take a peak inside the greenhouse and check out how everything is doing. We will be growing 60 different vegetables this year!